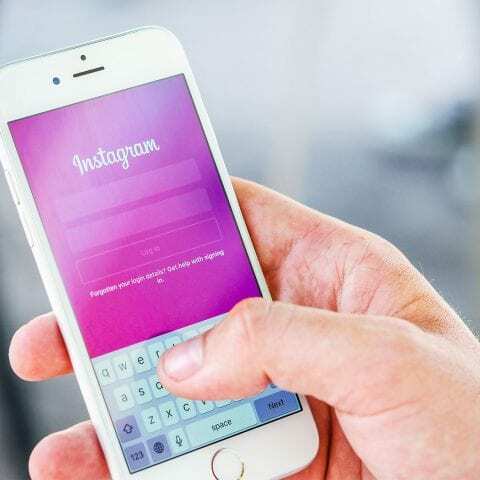 It’s been a busy month for Instagram, with the social giant recently launching their shopping feature for the UK market, as well as updating its news feed again to prioritise new posts and address the issue of having removed the chronological timeline. The new shopping experience available on Instagram is an excellent opportunity for savvy brands looking to engage with their audience further and monetise this rapidly-growing channel which is consisting of over 800 million users. There’s a few requirements you need to meet first to become eligible for Shopping on Instagram. Make sure that you have a business profile which is connected to a Facebook catalogue. Then, once your account has met all the criteria needed, Instagram will review it to give you access to the ability of tagging products in your post. Need assistance with setting up a Facebook catalogue for your business? We can help. Once you have access to the product tagging feature, you can start using Shopping on Instagram by tagging products on your Instagram posts. You can tag up to 5 products for a single image or 20 products if you opt for a carousel format. Next step? Sit back, relax and watch how your audience is starting to respond to these new posts. Designed to simplify the buying journey via Instagram, this new feature enables your customers to immediately get more product information about products they’re interested in straight from Instagram, and if they’re in buy mode, go to your website to complete their purchase. Make sure to use lifestyle, appealing images that showcase your products in situ to give your audience a better idea of what it would be like to use your products. Don’t forget to check your Facebook catalogue to ensure it’s got the product information your customers would need to make a buying decision and be very accurate when placing the product tags. Also, once you’ve added 9 shopping posts on your account, you can activate your Shop tab for your audience. This is an additional space where your followers can browse all the shopping posts you have, great if they’re already in buy mode and interested in making a purchase. Can I boost Shopping posts? Not at the moment. According to Instagram, product tagging is only available for Organic posts. You can however share Stories and other Instagram posts to let your audience know that they’re now able to Shop your product range via Instagram. If you need more help with your social media strategy, why not say [email protected]? Our social media experts can’t wait to help you!